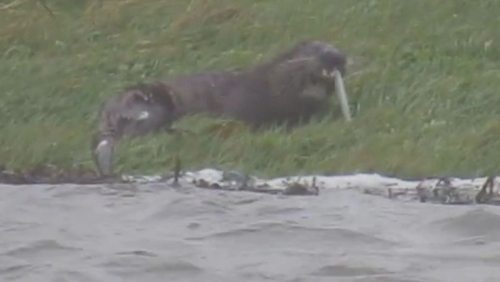 A nature enthusiast observing Storm Diana in Co Waterford caught something else on film instead - an otter having a fish supper on a river bank. Otters are found throughout Ireland, but are rarely caught on camera. Apparently unfazed by the strong winds and swollen waters, the otter enjoyed its catch in Tramore, as the storm raged by.